The BNO055 includes internal algorithms to constantly calibrate the gyroscope, accelerometer and magnetometer inside the device. The exact nature of the calibration process is a black box and not fully documented, but you can read the calibration status of each sensor using the .getCalibration function in the Adafruit_BNO055 library. An example showing how to use this function can be found in the sensorapi demo, though the code is also shown below for convenience sake. The four calibration registers -- an overall system calibration status, as well individual gyroscope, magnetometer and accelerometer values -- will return a value between '0' (uncalibrated data) and '3' (fully calibrated). The higher the number the better the data will be. The BNO055 will start supplying sensor data as soon as it is powered on. The sensors are factory trimmed to reasonably tight offsets, meaning you can get valid data even before the calibration process is complete, but particularly in NDOF mode you should discard data as long as the system calibration status is 0 if you have the choice. The reason is that system cal '0' in NDOF mode means that the device has not yet found the 'north pole', and orientation values will be off The heading will jump to an absolute value once the BNO finds magnetic north (the system calibration status jumps to 1 or higher). Accelerometer: The BNO055 must be placed in 6 standing positions for +X, -X, +Y, -Y, +Z and -Z. This is the most onerous sensor to calibrate, but the best solution to generate the calibration data is to find a block of wood or similar object, and place the sensor on each of the 6 'faces' of the block, which will help to maintain sensor alignment during the calibration process. You should still be able to get reasonable quality data from the BNO055, however, even if the accelerometer isn't entirely or perfectly calibrated. Once the device is calibrated, the calibration data will be kept until the BNO is powered off. The BNO doesn't contain any internal EEPROM, though, so you will need to perform a new calibration every time the device starts up, or manually restore previous calibration values yourself. 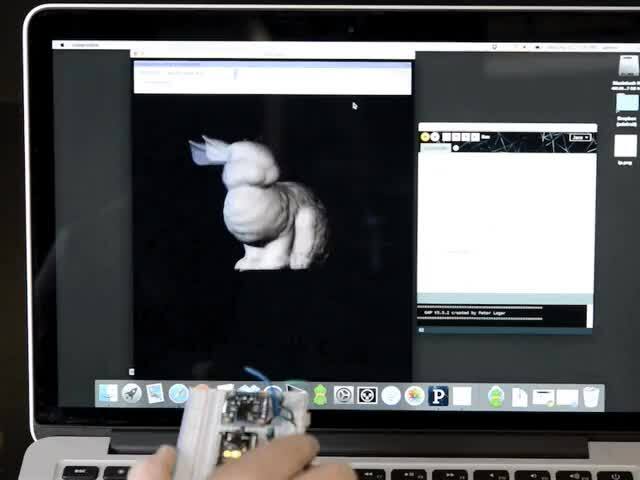 Here's a video from the BNO055 makers on calibration! This guide was first published on Apr 22, 2015. It was last updated on Apr 22, 2015. This page (Device Calibration) was last updated on Apr 20, 2019.